THE RISE AND DEMISE OF SLY AND THE FAMILY STONE. There’s much more to the story of Sly and the Family Stone. It’s also a story that features gangsters, death threats, drugs and racist thugs who infiltrated one of the greatest bands of the late-sixties and early seventies. All this played a part in the rise and demise of Sly and the Family Stone. Their story began in 1966, when Sly Stone formed Sly Stone and The Stoners which featured his friend Cynthia Robinson on trumpet. Meanwhile, Sly Stone’s brother Freddie Stone was also founding a new group Freddie and The Stone Souls. Its lineup included drummer Gregg Errico and saxophonist Ronnie Crawford. Saxophonist Jerry Martini who was a friend of Sly Stone’s, suggested that the Sly and Freddie Stone should combine the two bands. This made sense, and Sly Brothers and Sisters was born. However, in October 1966 Sly Brothers and Sisters became Sly and the Family Stone. Soon, Vanetta Stewart, Mary McCreary and Elva Mouton who had their own gospel group The Heavenly Tones approached Sly Stone about joining the nascent group. He agreed and they became Little Sister, who became Sly and the Family Stone’s backing vocalists. It wasn’t long before Sly and the Family Stone came to the attention of record companies. This happened after a gig at the Winchester Cathedral, which was a night club in Redwood City, California. After the show, CBS Records David Kapralik executive approached Sly and the Family Stone. He had heard the group’s set and wanted to sign them to CBS’s Epic Records label. Soon, a deal was concluded and Sly and The Family Stone began work on their debut album A Whole New Thing. 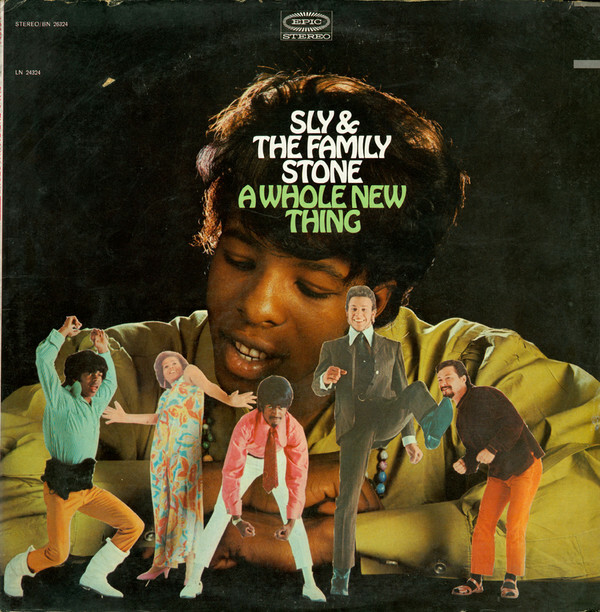 In October 1967, Sly and the Family Stone prepared to release their debut album A Whole New Thing. It had been recorded live in the studio and found Sly and The Family Stone fusing soul and funk. Although reviews of the album were mixed, a number of musicians, including Mose Allison and Tony Bennett were won over by the album. Alas, when A Whole New Thing was released, it failed to chart. This was a disappointing start to Sly and the Family Stone’s recording career. After the commercial failure of A Whole New Thing, CBS executive Clive Davis asked Sly Stone to make his music more poppy. This he hoped would find favour with DJs and record buyers. Sly Stone decided to write music that would please his employer, and come up with what was essentially a musical formula. Still, though, it allowed Sly and the Family Stone to spread their message of peace, brotherly love, and anti-racism and reach a much wider audience. The song that Sly Stone wrote was the anthemic Dance To The Music. When it was recorded, new vocalist and keyboardist Rose Stone made her debut. On it release, Dance To The Music reached number eight in the US Billboard 100 and US R&B charts. This was Sly and The Family Stone’s psychedelic soul debut, which was copied by many within the music industry. In April 1968, Sly and the Family Stone returned with their sophomore album Dance To The Music. This album of psychedelic soul was released to critical acclaimed and is now regarded as an influential and innovative album. Dance To The Music reached 142 in the US Billboard 200 and eleven in the US R&B charts. Sly and The Family Stone’s career was underway. 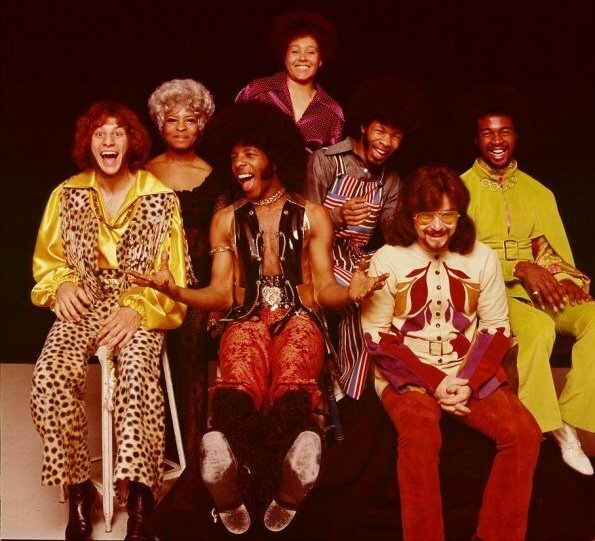 Sly and The Family Stone was keen to build on the success of Dance To The Music, and four five months later returned with their third album Life. While it was well received by critics and featured songs of the quality of Fun, Love City and M’Lady, Life failed to replicate the success of Dance To The Music. Instead, it stalled at a lowly 195 on the US Billboard 200. It was a case of one step forward and two back for Sly and The Family Stone. 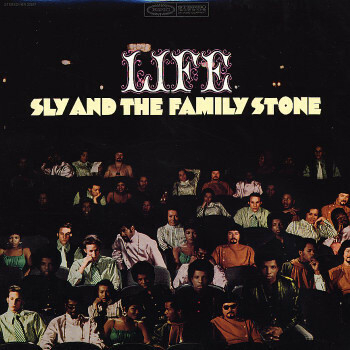 After the disappointing sales of Life, Sly and The Family Stone began work on the band’s fourth album Stand. It was written and produced by lead singer and multi-instrumentalist Sly Stone. He and the rest of Sly and The Family Stone had surpassed their previous efforts. When critics heard Stand the hailed the album Sly and The Family Stone’s finest hour, pointing at the quality of songs like Sing A Simple Song, I Want To Take You Higher, Stand and Everyday People. Stand was a classic in-waiting and would transform Sly and The Family Stone’s career. Everyday People was released as the lead single from Stand in 1969, and topped the US Billboard 100 and US R&B charts. This augured well for the release of Stand. When it was released in May 1969, Stand reached number thirteen in the US Billboard 200 and three in the US R&B charts. By November 1969 Stand had sold over 500,000 copies, was certified gold. Seventeen years later, and Stand was certified platinum. 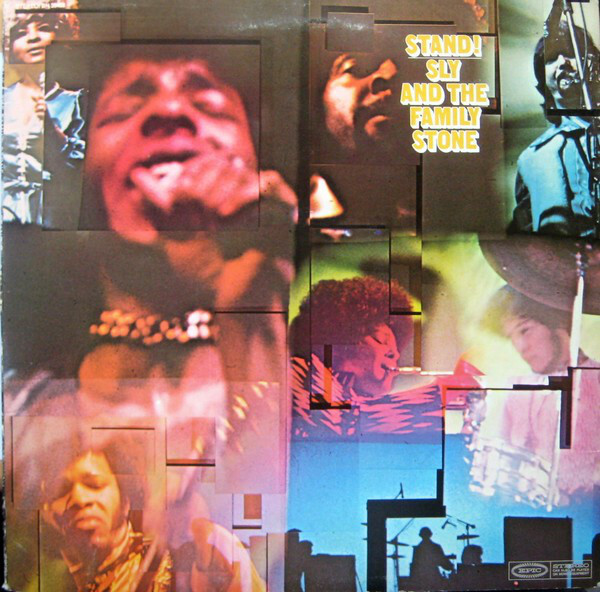 Now Stand was sold over three million copies and is one Sly and The Family Stone’s most successful albums. Following Stand, Sly and The Family Stone were one of the stars of Woodstock.Their early morning set on ‘17th’ August 1969, was one of the highlights of Woodstock. This further cemented their huge popularity. After Woodstock, Sly and The Family Stone’s profile was at an all time high. Their record company CBS was desperate for a new album.Deadlines for a new album were set, and deadlines were missed. For CBS, this was frustrating as Sly and The Family Stone had never been as popular. If the band had completed their album on time, it could’ve been their biggest selling album. When CBS realised that a new album wasn’t going to be imminent, a Greatest Hits album was released in 1970. 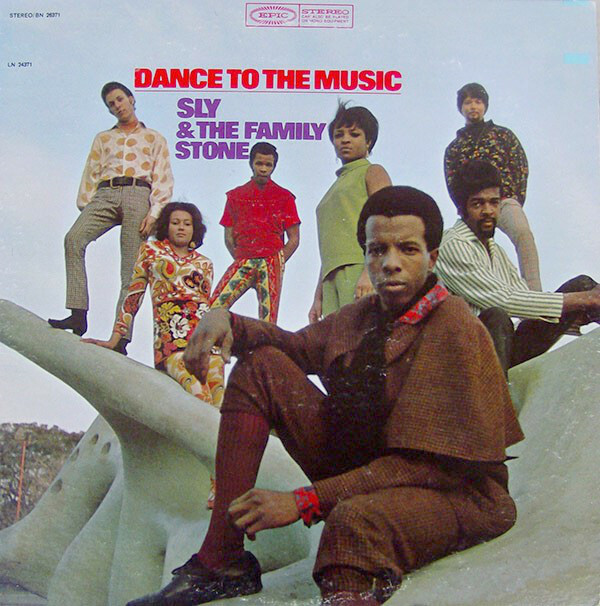 Sly and The Family Stone’s first Greatest Hits album was released in November 1970, and featured the five singles from Dance To The Music, Life and Stand. They were augmented B-Sides and trio of new tracks. This included Hot Fun In The Summertime, Everybody Is A Star and Thank You (Falettinme Be Mice Elf Agin). 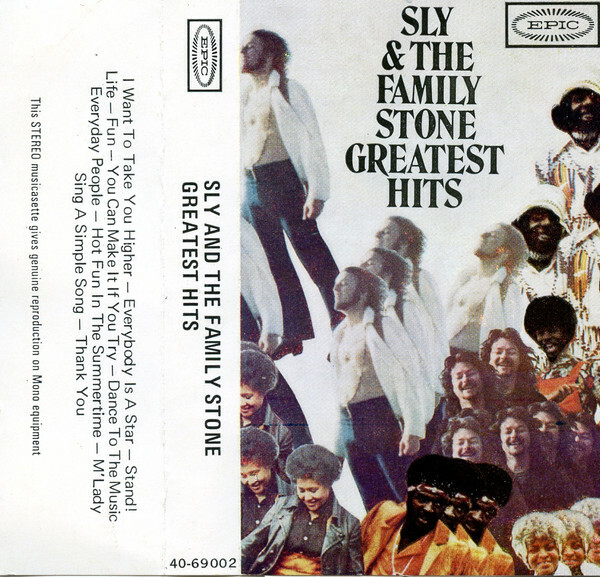 These twelve tracks became Sly and The Family Stone’s Greatest Hits album which was released to satisfy consumer demand. On its release, Greatest Hits reached number two in the US Billboard 200 and reached number one on the US R&B charts. Sly and The Family Stone’s first Greatest Hits album went on to sell five million copies, and was certified platinum five times over. This surpassed the success of Stand, and reinforced that fact that Sly and The Family Stone was one of the most popular American bands. However, all wasn’t well within Stand, Sly and The Family Stone. At this time, relationships within the band were at an all time low, especially among Sly and Freddie Stone and bassist Larry Graham. Tense doesn’t come close to describe their relationship. Ironically, Larry’s bass playing would be crucial to the success of what became There’s A Riot Goin’ On. It provided the heartbeat to the album. 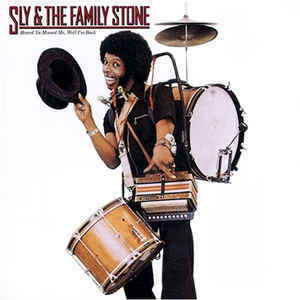 Sadly, the tension between the band members wasn’t the only problem surrounding Sly and The Family Stone. Drug use was rife within Sly and The Family Stone, and allegations were made that that Sly Stone spent most of his waking hours taking drugs. When the band were touring, Sly Stone carried a violin case full of drugs everywhere the band went. The drug use had worsened ever since Sly and The Family Stone had relocated to California. Since then, PCP and cocaine were the drugs of choice for the band. This started to affect the recording schedule and tours. Sly Stone’s moods started to change, and he swing between upbeat and happy, to suddenly moody and broody. Onlookers noted that his behaviour started to become erratic. Between concerts, it was reported that he spent much of his time taking drugs. For a band who’d just enjoyed two hugely successful albums, Sly and The Family Stone were shooting themselves in their foot at every turn. Controversy then arose when Sly Stone became friendly with The Black Panthers. Soon, this was said to be affecting Sly and The Family Stone’s music. They wanted the band’s music to be more militant, both lyrically and musically. The Black Panthers also felt that Sly and The Family Stone should reflect the movement’s beliefs. Even more controversial was that The Panthers demands that Sly Stone fire the two white instrumentalists Greg Errico and Jerry Martini. Their replacements, The Panthers said, should be black musicians. Their final request, was that manager David Kapralik be sacked. Replacing him, should be a black manager who would represent the group. Soon, politics were the least of Sly Stone’s problems, when he became involved with gangsters. This came about when Sly Stone was looking for someone to manage his affairs. To do this, he could’ve hired any of the Los Angeles’ top music managers. Instead, Sly Stone hired two of his streetwise acquaintances Hamp “Bubba” Banks and J.B. Brown, as his personal managers; However, it was alleged that their was more to the role of Sly Stone’s manager than looking after his affairs. They would also have to source his drugs and protect him from his supposed ‘enemies’. This included members of The Family and some of his staff. The perfect people to do this were the gangsters that Hamp “Bubba” Banks and J.B. Brown were alleged to have hired. With the problems Sly Stone’s problems with drugs, The Black Panthers and gangsters it was a tumultuous time for the band. Especially when drummer Greg Errico decided to leave Sly and The Family Stone. By then, a rift had developed between Sly Stone and members of The Family, who were disappointed with the loss of Greg Errico. This was a huge disappointment given how important his role within the band. However, it also meant that The Black Panthers had gotten their wish and removed one of the two white musicians from the band. It was a sad for Sly and The Family Stone, whose music was meant to be about peace, brotherly love, and anti-racism. Ironically, Sly Stone had let The Black Panthers which was a virulently racist and anti-semitic organisation infiltrate the band, and intimidate the two white members of the band. So much so, that Greg Errico left Sly and The Family Stone. This was the backdrop for the recording of new album in 1970 and 1971. Sly and The Family Stone were up against it when recording of There’s A Riot Goin’ On began. There’s A Riot Goin’ On. When recording of There’s A Riot Goin’ On began at the Record Plant, in Sausalito, in 1970 Sly and The Family Stone’s popularity was at an all-time high. CBS wanted a new album from Sly and The Family Stone. However, it soon became apparent that was easier said than done. Tensions were high within Sly and The Family Stone as they began recording There’s A Riot Goin’ On. There were also the various problems within Sly Stone’s life. Gangster and The Black Panthers were regular visitors to the studio as Sly and The Family Stone began recording the twelve songs penned by Sly Stone. Just like previous albums Sly Stone was also arranging and producing There’s A Riot Goin’ On. However, there was a distinct lack of progress, the sessions continued into 1971. By then, deadlines had been set, but were constantly missed. The executives at CBS were frustrated at the lack of progress. Adding to their woes was the departure of drummer Greg Errico. He was replaced for the rest of the sessions by Gerry Gibson. Eventually, amidst rancour, tension and a haze of drugs, the genre-melting opus There’s A Riot Goin’ On was completed in 1971. When executives at CBS heard There’s A Riot Goin’ On, it was a delicious fusion of funk, soul, rock, psychedelia and jazz. They scheduled the release of There’s A Riot Goin’ On for November 1971. Ironically, There’s A Riot Goin’ On wasn’t immediately recognised as a classic album. Initially, There’s A Riot Goin’ On divided the opinion of critics. Some hailed the album a masterpiece, while others weren’t won over by the change of sound and style. There’s A Riot Goin’ On was the result of the long sessions where Sly Stone honed the album’s sound. This involved lengthy overdubbing sessions, which gave the album its multilayered sound. The music had a darker, harder edge than the soulful sounding Stand. Gone also was the optimism of previous albums. In its place was music that was pessimistic, even nihilistic as it describes a world that’s gone wrong. In reality, this was more a description of Sly and The Family Stone by 1971. However, with critics opinions divided over There’s A Riot Goin’ On, record buyers had a casting vote. On There’s A Riot Goin’ On release in November 1971, it topped the US Billboard 200 and US R&B Charts. By November 1972 the album was certified gold in and later was certified platinum. Meanwhile, Family Affair was released as the lead single from There’s A Riot Goin’ in November 1971. It reached number one in the US Billboard 100 and number three in the US R&B Charts, and was certified gold. There’s A Riot Goin’ On may have taken the best part of two years to record in far from idea circumstance, but it transformed the career of Sly and The Family Stone. While There’s A Riot Goin’ On transformed Sly and The Family Stone’s career all wasn’t well behind the scenes. Jerry Martini approached Sly Stone and his managers about money that he believed was owed to him. This didn’t go down with Sly Stone’s ‘managers’ and Pat Rizzo was lined up as a potential replacement for Jerry Martini. He had made the fatal mistake of questioning the ‘Family’s business practices. Despite that, Jerry Martini remained part of the band. However, if he ever asked the same question then Pat Rizzo would replacement. Meanwhile. the relationship between Sly Stone and Larry Graham was an all-time low. Things came to a head after a concert when a huge fight broke out between Sly Stone and Larry Graham’s entourages. The cause of this was allegations being made by Bubba Banks and Eddie Chin. They alleged that they heard that Larry Graham had hired a hit man to kill Sly Stone. This was a laughable allegation, and more likely invented by the ‘business managers’ to drive a wedge between the two musicians. It worked, and later that night, Larry Graham and his wife had to climb out of a hotel window, and were driven to safety by Pat Rizzo. Larry Graham knew his time with Sly and The Family Stone was over, and went on to found his own successful group, Grand Central Station. Meanwhile, Sly and The Family Stone began work on a new album. Given the success of On There’s A Riot Goin’ On, executives at CBS were keen for Sly and The Family Stone to record a followup quickly. However, it took nineteen month before Sly and The Family Stone returned with their sixth studio album Fresh in June 1973. By then, Sly and The Family Stone were beset by more problems. Sly Stone’s drug use had escalated, and his drug of choice for the recording of Fresh was cocaine. Sly and The Family Stone’s other problem was the loss of their original rhythm section. As a result, session drummer Andy Newmark was drafted in and joined Sly Stone in the rhythm section. Replacing Greg Errico wasn’t going to be easy, and several drummers would enjoy brief spell in Sly and The Family Stone’s rhythm section. Sly Stone laid down the bass and guitar parts plus piano, organ, harmonica and vocals. Together, Sly and The Family Stone’s new rhythm section recorded the syncopated and complex rhythms. They were part of quite different album, and one showcased a much more stripped down sound. Once the album was recorded, Sly Stone constantly remixed the tracks on Fresh. It became the second consecutive album to be delayed by Sly Stone’s constant remixing. Even after Sly Stone handed over the master tapes he continued to remix Fresh. As a result, several versions of each track on Fresh exist. When critics heard Fresh it as well received by the majority of critics. They were won over by tracks of the quality of If You Want Me To Stay, Frisky, Que Sera, Sera (Whatever Will Be, Will Be) and Babies Makin’ Babies. Fresh was a much more upbeat album, and had the same funkiness as There’s A Riot Goin’ On. It was no surprise that a number of high-profile musicians had been won over by Fresh. Jazz legend Miles Davis was so impressed In Time which opened Fresh, that he made his band spend thirty minutes listening to the song. Brian Eno thought that Fresh signalled a change in recording history saying it was an album: “where the rhythm instruments, particularly the bass drum and bass, suddenly [became] the important instruments in the mix.”. Later, P-Funk pioneer George Clinton called Fresh one of his favourite albums. However, when Fresh was released in the summer of 1973, it was receiving praise from critics and musicians alike. It was against this backdrop that Fresh was released. When Fresh was released on June the ‘30th’ 1973, the album reached number seven in the US Billboard 200 and topped the US R&B charts. This resulted in a gold disc for Sly and the Family Stone who were now one of the most successful soul and funk bands of the seventies. In 1974, Sly and The Family Stone headed to the Record Plant in Los Angeles to record their seventh studio album Small Talk. By then, Sly Stone had penned ten tracks and cowrote Small Talk with W. Silva. Just like previous albums, Sly Stone arranged and produced Small Talk, which was a stylistic departure from Sly and the Family Stone. The release of Small Talk was scheduled for July 1974. Before that, critics had their say on album. They discovered another album of soulful and funky music. What was different was a much more laid-back and mellow sound. Strings were used effectively and softened the sound and changed the mood of the music. Sometimes they replaced the horns which had been a feature of Sly and the Family Stone’s music. Gone also was the fuller arrangements on a number of tracks, to be replaced by a much sparser sound. Another change was the use studio chatter on around half the songs on Small Talk. This added a degree of spontaneity to the album. Its highlights included the ballad Mother Beautiful, Can’t Strain My Brain, Time For Livin’ and Wishful Thinkin’ plus the funky Loose Booty and Livin’ While I’m Livin’. 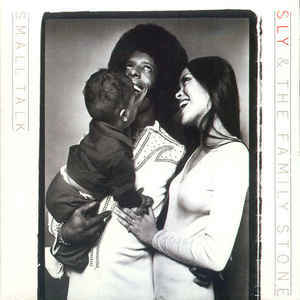 Small Talk was another album of quality music from Sly and the Family Stone. However, the big question was what would record buyers think of Sly and the Family Stone’s new sound? When Small Talk was released in July 1974, it reached number fifteen in the US Billboard 200, but never troubled the US R&B charts. Despite that, Small Talk was certified gold. By then, Frisky had been released as the lead single and reached thirty-two in the US Billboard 100 and thirty-nine in US R&B charts. Loose Booty then stalled at eighty in the US Billboard 100 and ninety in US R&B charts. However, this was the least of Sly Stone’s worries. Ever since the dawn of the seventies, Sly Stone or other band members would often fail to turn up to play at gigs. Other times, they refused to play or passed out after taking a cocktail of drugs. After a while, this started to affect Sly and the Family Stone’s bookings. No longer was the band able to command the same sums of money they once had. When promoters were willing to book Sly and the Family Stone, they were only willing to pay smaller sums of money. This was no surprise. Often when Sly and the Family Stone played live, the audience rioted if the band failed to turn up for the gig. It was a similar case if Sly Stone walked off the stage or the band failed to finish their set. Suddenly, chaos reigned and There’s A Riot Goin’ On. This made life difficult for Ken Roberts who was Sly and The Family Stone’s promoter and later general manager. Many promoters wouldn’t hire Sly and The Family Stone due to the problems they brought with them. Despite the package they brought with them, Sly and The Family Stone hired the Radio City Music Hall, in New York. This was one of the Big Apple’s most prestigious venues. When Sly and The Family Stone took to the stage on the ‘15th’ of January 1975, the venue was only one-eighth occupied. For Sly and The Family Stone this was a disaster and the band had to scrape together the money to get home. On their return to California, a decision was made to dissolve Sly and The Family Stone. After eight years, and eight million albums Sly and The Family Stone was no more. However, Sly Stone continued as a solo artist. Ten months after that fateful nights at Radio City Music Hall, Sly Stone released his debut solo album High On You on November the ‘8th’ 1975. It featured ten new songs penned by Sly Stone, and featured most of the former members of The Family Stone. This included Freddie Stone, Cynthia Robinson, Jerry Martini, Dennis Marcello and Little Sister. They were augmented by various session musicians and guest artists as work began at Columbia Studios and the Record Plant in Los Angeles. Sly Stone played many instruments and again, used multi tracking to record multilayered songs. This time, Sly Stone worked quickly and the album was ready for release in late 1975. 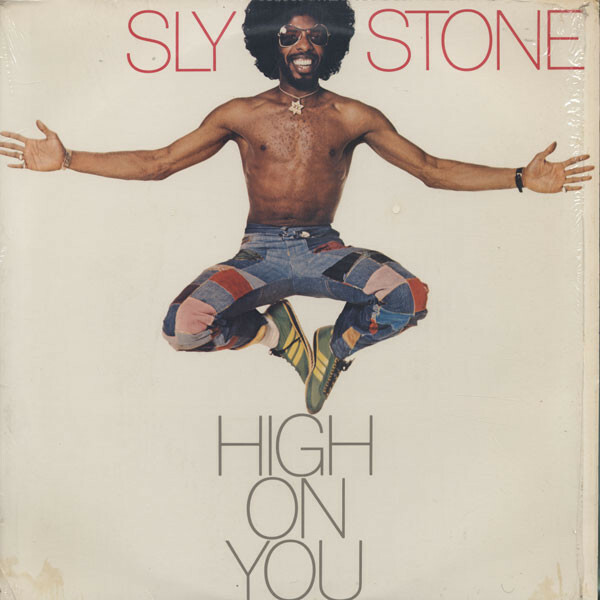 When High On You was released on November the ‘8th’ 1975 this was the start of new chapter for Sly Stone. It was his debut solo album and he was eager that the album would be well received by critics. They were impressed by High On You, which was a funkier album than Small Talk. Especially songs like I Get High On You where which was a fusion of funk proto-boogie, the sinuous Crossword Puzzle and the accusing Who Do You Love? There was a departure into soul on the string drenched ballad That’s Loving’ You. It’s a reminder of Sly Stone’s versatility as he’s transformed into a soul man. Green Eyed Monster Girl is an organ driven jam that shows Sly Stone hadn’t lost his touch. Organize sounded like vintage Sly and The Family Stone, while Le Lo Li and My World are a return to the soulful side. So Good To Me finds Sly Stone fusing soul and funk before he takes a bow on Greed. Given the quality of music on High On You surely it would launch Sly Stone’s solo career? On the release of High On You, it reached forty-five on the US Billboard 200 and eleven in the US R&B chart. This time there was no gold disc for Sly Stone. When I Get High On You was released as a single in 1975, it stalled at fifty-two on the US Billboard 100 and fifty-eight in the US R&B chart. Alas, that was as good as it got for Sly Stone. Le Lo Li was released later in 1975, but failed to chart. It was a similar case when Crossword Puzzle was released in 1976. However, on the whole, High On You was a successful start to Sly Stone’s solo career. Heard Ya Missed Me, Well I’m Back. Just over a year after the release of High On You, Heard Ya Missed Me, Well I’m Back was released on December the ’18th’ 1976 and heralded the return of Sly and The Family Stone. It was very different lineup of the group that sold eight million album between 1969 and 1973. There was only remaining member of The Family Stone left, trumpeter Cynthia Robinson. She was joined by Vet Stone and Elva Mouton who previously, were members of Little Sister who were Sly and The Family Stone’s backing vocalists. They were going up in the world and were now members of The Family Stone. Joining them in The Family Stone were a number of new faces, plus guest artist Peter Frampton who plays guitar on Let’s Be Together. He joined Sly and The Family Stone at Columbia Recording Studio in San Francisco. By then, Sly Stone had penned new songs. They were recorded by what was essentially a new lineup of Sly and The Family Stone. What didn’t change was that Sly Stone took charge of production at Columbia Recording Studio. However, when Heard Ya Missed Me, Well I’m Back was recorded, it wasn’t Sly Stone who mixed the album. Instead, the tapes were sent to Joe Tarsia at Sigma Sound Studios in Philly. He was mixing many of the successful Philly Soul albums for Gamble and Huff and Thom Bell. Executives at CBS must have been hoping that some of this success would rub off on Sly and The Family Stone. Before Heard Ya Missed Me, Well I’m Back had their say on Sly and The Family Stone’s comeback album. It featured their usual fusion of soul and funk, which was joined by Latin, proto-boogie. Mostly, Heard Ya Missed Me, Well I’m Back was well received by critics. However, what would record buyers make of Heard Ya Missed Me, Well I’m Back? When Heard Ya Missed Me, Well I’m Back was released by Epic, it failed to chart in the US Billboard 200, The last time this had happened was in 1967, Sly and The Family Stone released their debut album A Whole New Thing. Heard Ya Missed Me, Well I’m Back wasn’t triumphant return that Sly Stone or executives at Epic had hoped. To make matters worse, the only single released from Heard Ya Missed Me, Well I’m Back, Family Again failed to chart. Sly Stone must have known what was about to happen next. In 1977, Epic released Sly Stone from his recording contract. He had spent ten years at Epic, and released eight studio albums and the 1970 Greatest Hits’ album. These nine albums sold in excess of eight million copies. However, that was the past. There was no sentiment in music and Sly and The Family Stone left Epic in 1977. The most successful period of Sly and The Family Stone’s career was between 1969 and 1974. This golden period started with the release of Stand in 1969, with Sly and The Family Stone’s first Greatest Hits album following in 1970. 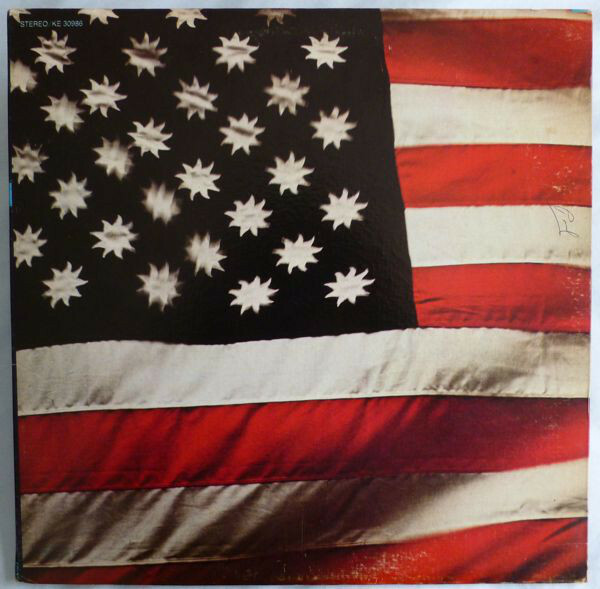 A year later, Sly and The Family Stone release their Magnus Opus There’s A Riot Goin’ On which is a classic album. So was the followup Fresh which was released in 1973. The final album from a period where Sly and The Family Stone could do no wrong was 1974s Small Talk, and are a reminder of the band’s golden period. Sadly, many people concentrate on Sly and The Family Stone most successful albums, especially those released between 1969 and 1974. In doing so, they’re overlooking albums like A Whole New Thing, Dance To The Music and Life which were released between 1967 and 1968. These three albums find Sly and The Family Stone pioneering and honing their trademark psychedelic soul sound. By then, Sly and The Family Stone were ready to embark upon a five-year period where they could do wrong. That period ends with 1974s Small Talk, which was certified gold. This was the end of a five-year period where commercial success and critical acclaim had been constant companions to Sly and The Family Stone. Lead by the inimitable musical maverick Sly Stone, Sly and The Family Stone were musical trailblazers who pioneered the psychedelic soul sound. Soon, many other musicians and bands were following in their footsteps, including The Temptations and The Undisputed Truth. However, neither group came close to replicating Sly and The Family Stone’s unique, genre-melting sound. It found favour with critics and record buyers and even today, fifty years after Sly and The Family Stone released their debut album A Whole New Thing in 1967, they continue to inspire and influence a new generation of musicians. During the ten-year period Sy and The Family Stone had been together, there had been stories of involvement with gangsters, brawls and bickering and backstabbing between members of Sy and The Family Stone. This resulted in Greg Errico and Larry Graham leaving Sy and The Family Stone. There were also death threats, while drug taking was rife. Indeed at one point, it was alleged that Sly Stone spent most of his making hours taking drugs. However, the most disturbing part of the Sy and The Family Stone story were the racist thugs who infiltrated one of the greatest bands of the late-sixties and early seventies. The Black Panthers’ racist and anti-semitic views made an absolute mockery of peace, brotherly love, and anti-racism. This was just another bad decision that Sly Stone that hindered the progress of Sly and The Family Stone. While Sly and The Family Stone are regarded as one of the most successful soul and funk bands of the late-sixties and early seventies, maybe they underachieved? Of the eight million albums Sly and The Family Stone sold, five million albums were copies of their 1970 Greatest Hits’ album. This meant that the eight studio albums that Sly and The Family Stone released sold just three million copies. The psychedelic soul pioneers 1971 Magnus Opus There’s a Riot Goin’ On sold a million copies and was certified platinum. Sadly, Sly and The Family Stone never again reached the same heights. Sometimes, Sly and The Family Stone’s problems with gangsters, death threats, drugs and racist thugs got in the way of making music. This meant that they sometimes never reached the heights that they should’ve. They had shown what they were capable of with their platinum certified albums Stand! and There’s a Riot Goin’ On. Sadly, five years after the release of There’s a Riot Goin’ On in 1971, Sly and The Family Stone released Heard Ya Missed Me, Well I’m Back in 1976. When it failed to chart, this was the end of the road for Sly and The Family Stone. After ten years together and classic albums like Stand!, There’s A Riot Goin’ On and Fresh it was the end of the road for the psychedelic soul pioneers. A year later, in 1977, Epic dropped Sly and The Family Stone, who had released eight studio albums and their first Greatest Hits album since signing to the label in 1967. The following ten years were a roller coaster ride with Sly and The Family Stone releasing classic and often, being embroiled in controversy. This controversy hampered Sly and The Family Stone and to some extent, stopped them from fulfilling their potential, and enjoying a longer and more successful career. Some of the controversy also made of mockery of Sly and The Family Stone’s ‘message’ of peace, brotherly love, and anti-racism. This this has been forgotten in the mists of time. Forty years after Sly and The Family Stone were released from their contract by Epic, and Sly Stone is now seventy-four. Just like Icarus, Sly Stone flew too close to the sun, and nowadays, is a pale shadow of his former self. The years of hard living and drug taking have taken their toll on this former musical pioneer. Incredibly, his best days were behind him by 1976, when he was just thirty-three. Never again would Sly Stone reach the same heights as he had with Sly and The Family Stone. 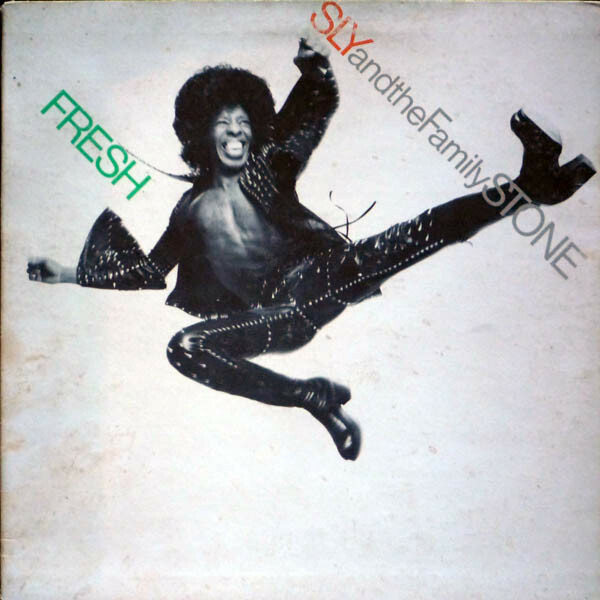 Their finest moments were their triumvirate of classic albums Stand!, There’s A Riot Goin’ On and Fresh, which show what Sly and The Family Stone were capable of in their prime. ← FIFTEEN YEARS OF THE SOULJAZZ ORCHESTRA. A heartbreaking story. Sly had it all, and then threw it away. hard drug abuse. At one time, he was a real contender.